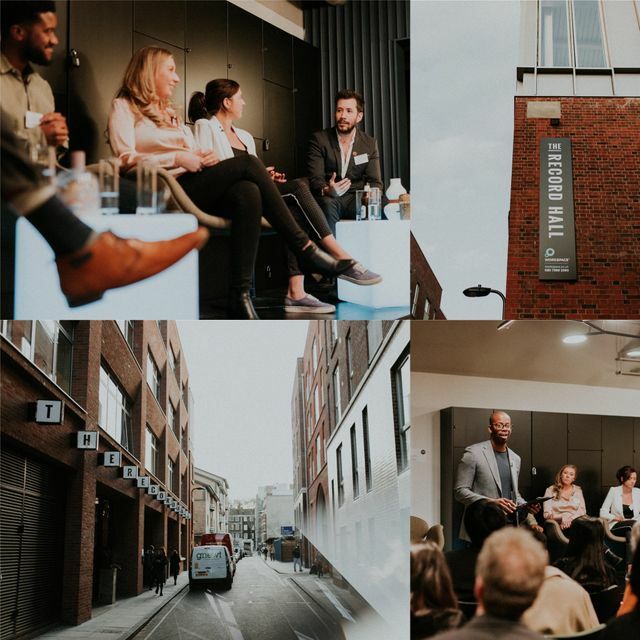 On the panel, we had the pleasure of speaking with Kasia Borowska (MD at Brainpool AI), Alejandro Saucedo (Chief scientist at The Institute for Ethical AI & Machine Learning), Andy Ayim (MD at Backstage Capital) and Helena Murphy (Co-Founder of Raising Partners). The Event was expertly chaired by Diarra Smith at Knowledge Peers! Thank you all! As AI increasingly touches most areas of our life, it is crucial that, "Data Scientist actually KNOW what they are doing" As Alejandro eloquently put it. Yes, it seems crazy that one must know what they are doing at work. This is important though. A basic course on Udemy or DataCamp won't cut it if you are putting models into production that filter loan applications for example. This is because you don't know, what you don't know. Data Scientists must understand the intricacies of these models, otherwise the AI we rely on could end up having the same bias and flawed judgement that we condemn in human society today. Case in point is the Google image classifier which mistook a black woman for a gorilla. Horrific. Official standards, frameworks and deep expertise are crucial as automation continues to affect most areas of our life going forward. It is vital that we look past the hype and quota's regarding Diversity. There is no point in having a huge PR drive to hire women or LBGT professionals if the culture does not allow them to thrive, be respected or have key decision-making power at senior end. Culture is vital and those at the top of organisations must lead by example on this. Outside of everything else, there is also a very sound business case for investing in underrepresented groups too. It should really go without saying. As it relates to Venture Capital in the UK, not enough is invested in female or black founders for example. The lack of diversity in the VC labour force plays a big part in investment not being evenly distributed. This is even though investing in outliers is a sound strategy. As the customer base in the UK continues to become more diverse, it makes sense that the businesses serving these groups are diverse too. Naturally, founders/senior stakeholders from underrepresented groups will understand the needs of underrepresented groups much better than those from “majority groups”. Simplistic, but true. Being different is GOOD, it's a USP. A different point of view or background can provide a competitive edge in business. We have a long way to go in both diversity in tech AND ethical AI. Awareness is a great, but it is important that we aren't just associating ourselves with these topics because they are "popular" now. Action is everything. Small actions by us all will compound over time, so don’t underestimate the impact you can have. Calling out bad behaviour from peers as it relates to comments or actions against these diverse groups. Changing the culture one person at a time is crucial. Talking to underrepresented groups and understanding their challenges to understand how to effect change. Andy spoke about Backstage Capital hosting office hours in areas that house a high number of ethnic minorities for example. This is a great example as it breaks down barriers between the city and other areas. Keeping an open mind to others and not being influenced by media fuelled stereotypes. Each one, teach one – Another simple yet profound concept shared by Andy Ayim of Backstage Capital. Each person should pass on positive knowledge to others. We all have a unique and positive point of view that we can share with others who are less conscious of certain issues as it relates to diversity or ethical AI. There is a power in acting on a Micro level here. Lot’s of small actions can have a BIG impact over time. Just plant the seed. These are just some action points. I would love to hear things that myself and others can DO as we try to change things for the better. Please do share. The attitudes we have around diversity could filter through to AI too - making an aggressive effort to be fair and inclusive humans, will play a part in our machines of the future being fair and inclusive too. It starts with me; it starts with YOU!